The digital designer will be a member of the Physicians Committee’s publications team, which designs print and electronic materials that communicate our mission to the public. The digital designer will also work closely with the communications team, which is responsible for maximizing publicity for our campaigns, programs, and research studies through traditional and social media. Our goal is to educate and persuade in a clear, professional manner. We partner with the organization’s physicians, dietitians, and other experts in bringing our messages to life. The digital designer will help define the organization’s electronic presence. Specific duties include working with a professional team of graphic designers and communicators in a fast-paced environment to create graphics for the web, social media, and e-mail, participating in creative brainstorming on the communications team’s campaigns, giving artistic direction to photographers, and assisting print designers. The digital designer will need to be “on call” during evenings and weekends, keeping open channels of communication. This is a full-time position located at the Physicians Committee’s headquarters in Washington, D.C. (Friendship Heights on Metro’s Red Line). The ideal candidate will have a B.A., or equivalent experience, and have three or more years of professional experience with Adobe design programs (Photoshop, Illustrator, and InDesign). We are looking for a team player who will tackle their work with a sense of urgency and persistence, possesses creative ideas, patience, and a sense of humor, and is eager to be part of team. Knowledge of photography is a plus. 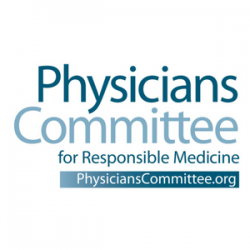 If you meet these requirements and are passionate about the Physicians Committee's mission, we'd like to hear from you. In your cover letter, please tell us about your interest in our mission, your related work experience and your professional goals. We look forward to hearing from you! Applications are being accepted on a rolling basis.